Sometimes good things come in small packages! This 72″L x 43″D Braxton Twin Cushion Sofa is one of those times!!! 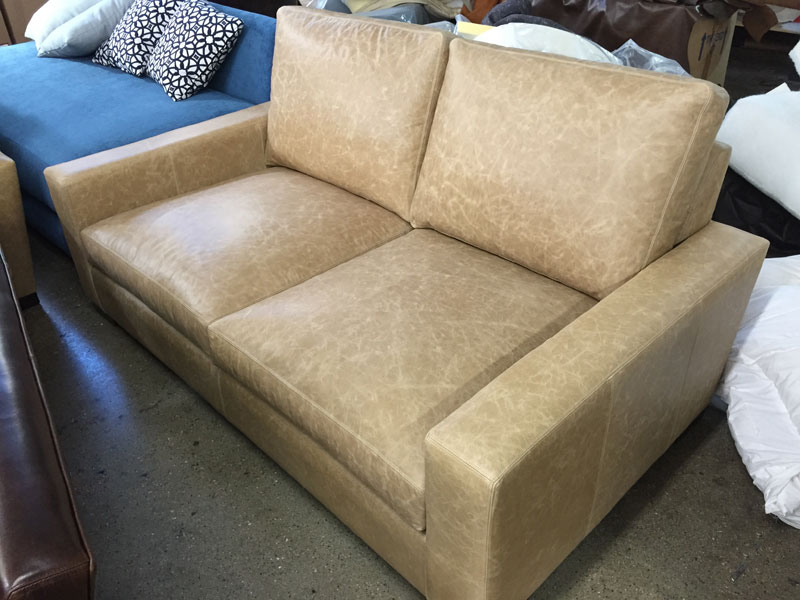 This studio sized sofa is upholstered in the Halter Oatmeal leather and was made for a customer of ours in Mt. Sterling, Kentucky. Notice how this sofa’s back cushions don’t have ears. With regards to furniture, an ear is the portion of a back cushion that hangs over the sofa’s arm. As you can see with this sofa model, taking away the ears from the back cushions gives this model a slightly more contemporary look without getting TOO contemporary. This custom made sofa has a truly classic style that is sure to be a big hit in anybody’s living room. This entry was posted in Braxton, Custom Leather Order Feed and tagged 43" Deep, 72"L, braxton leather sofa, Halter Oatmeal, maxwell leather collection on May 29, 2015 by J Wilkerson.